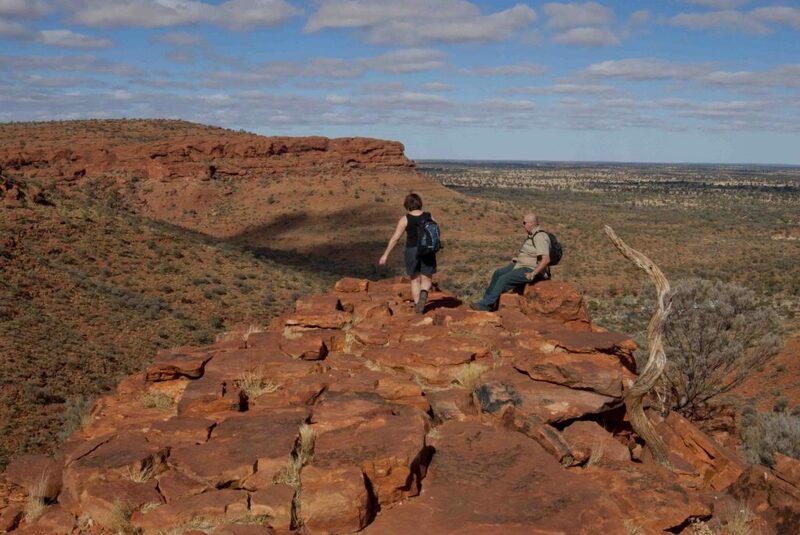 The Kings Canyon Rim walk is a good option for those who didn’t climb Uluru either for cultural or other reasons. 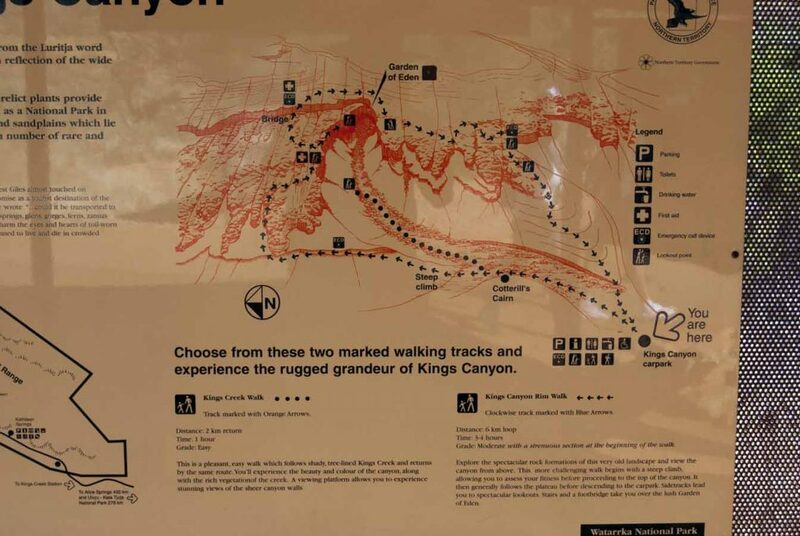 Kings Canyon Rim Walk provides the opportunity to gain a birds eye view of the desert landscape. 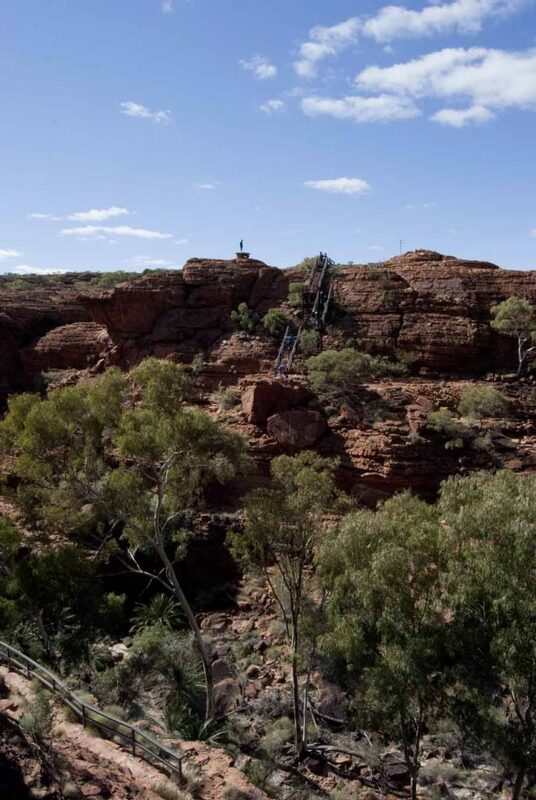 The Rim walk is a one way walk, marked with blue arrows and starts with a fairly hefty climb from the car park up a series of stone steps to the summit of the canyon. 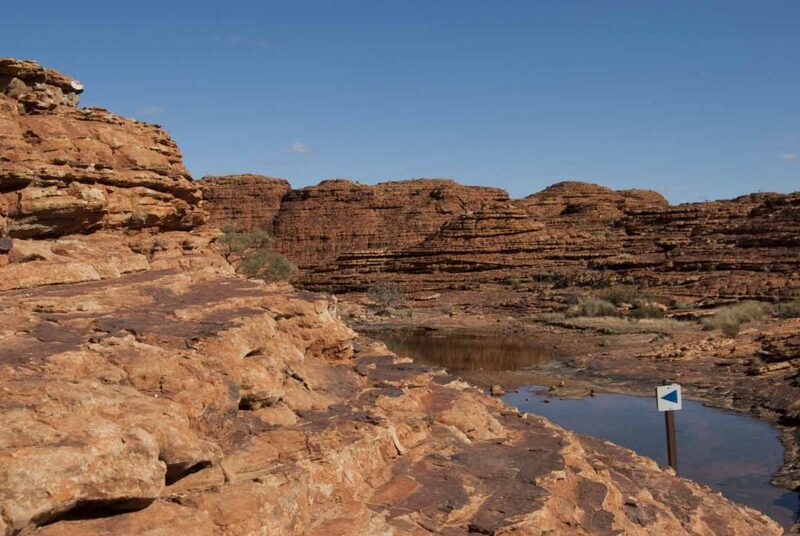 Apart from being a way of managing foot traffic on the top of the canyon it also ensures that those not fit enough to undertake this walk soon pull out. 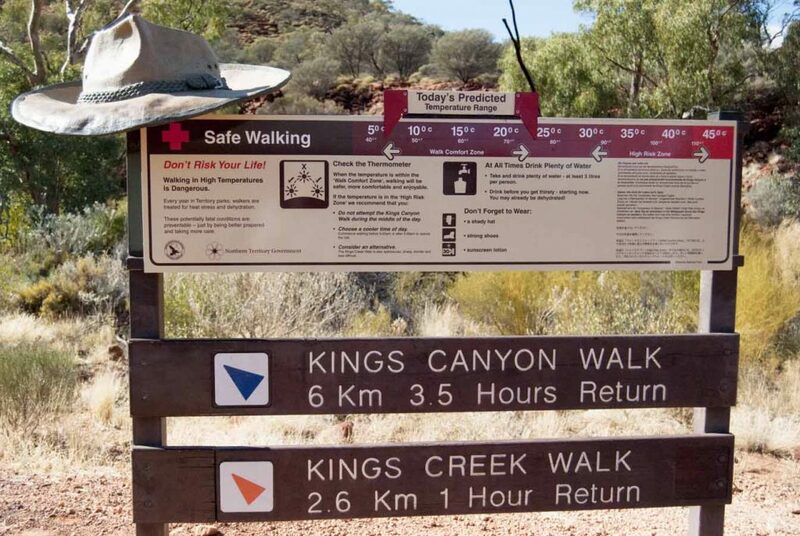 For fit hikers, this walk will present no problem but if you don’t fall into this category or have young children you may be better off doing the 2.6 km Kings Creek walk. 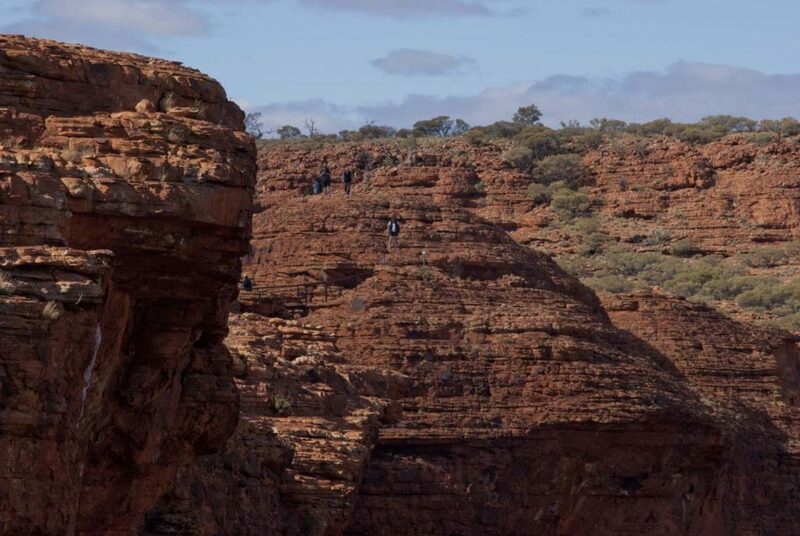 If you do decide to take kids up on top of the canyon, keep a careful eye on them as you have some serious drop offs to contend with. 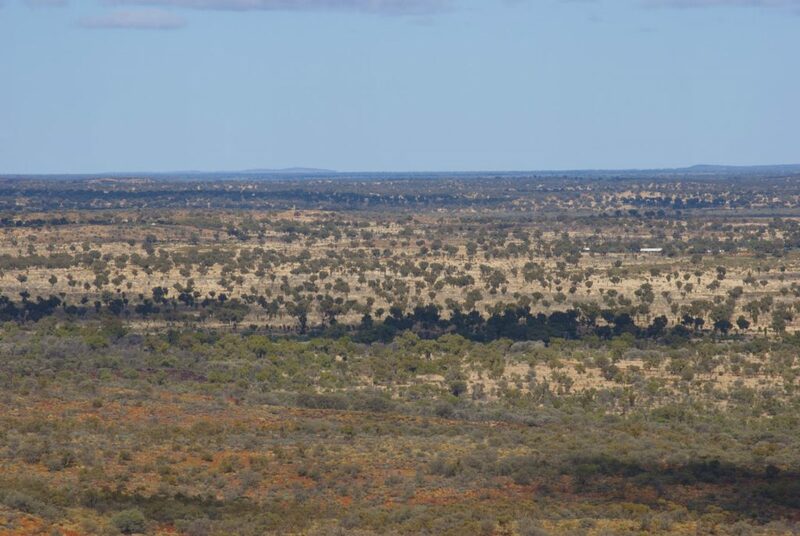 Once you have done all the hard work at the start you will be spending most of the time navigating the canyon rim to various lookout points that provide spectacular views. 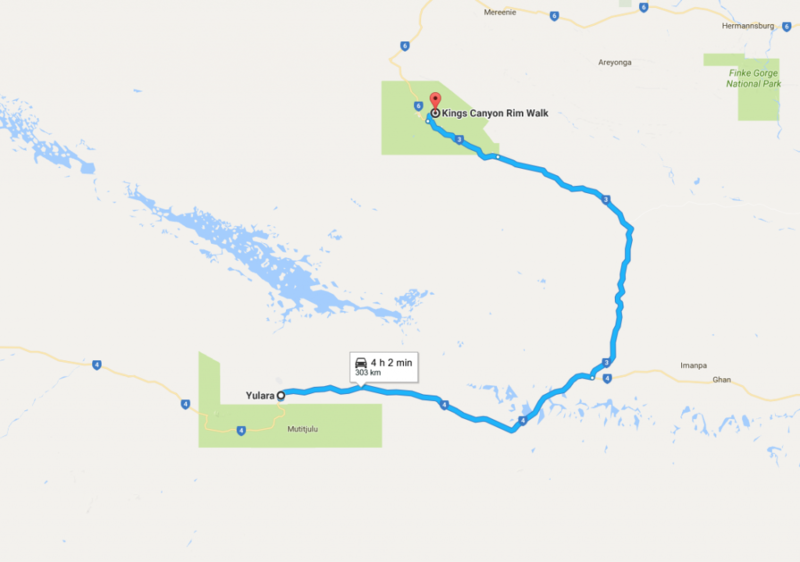 The maximum altitude on this walk will vary depending on how far you want to explore the canyon top. 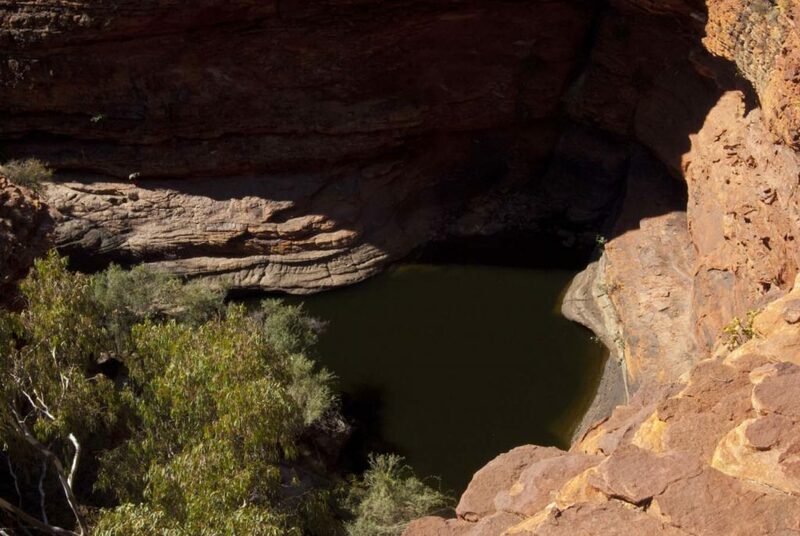 You can stay on top of the canyon rim for the whole walk before descending back down to the car park or you also have the option of descending down into the Garden of Eden around the halfway mark. 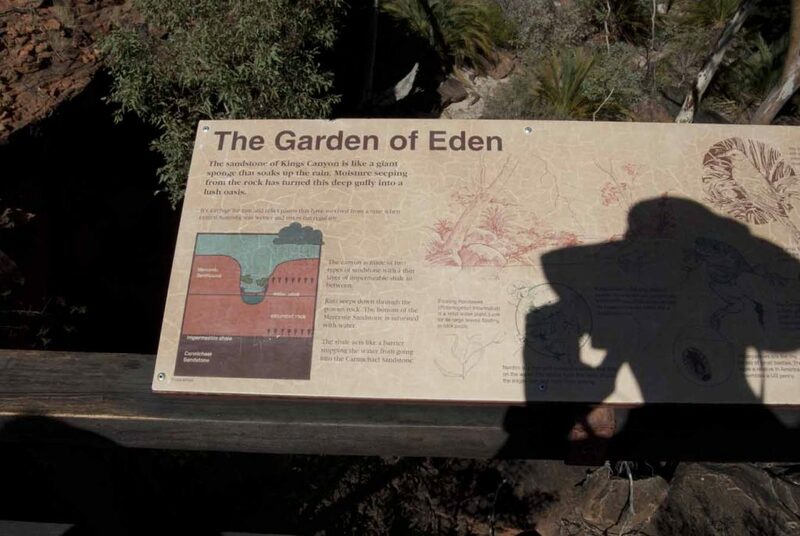 The Garden of Eden is essentially an oasis, complete with water in the middle of the canyon. And just beautiful! 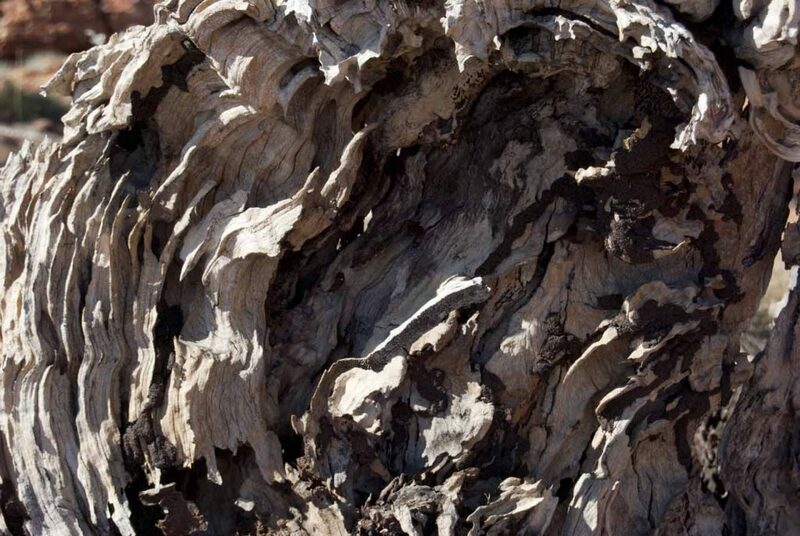 The rock colouring and formations on this walk, like much of the surrounding parks, are spectacular and as a bark fanatic there are some pretty amazing ghost gums and other occasional trees to which you can get up close. 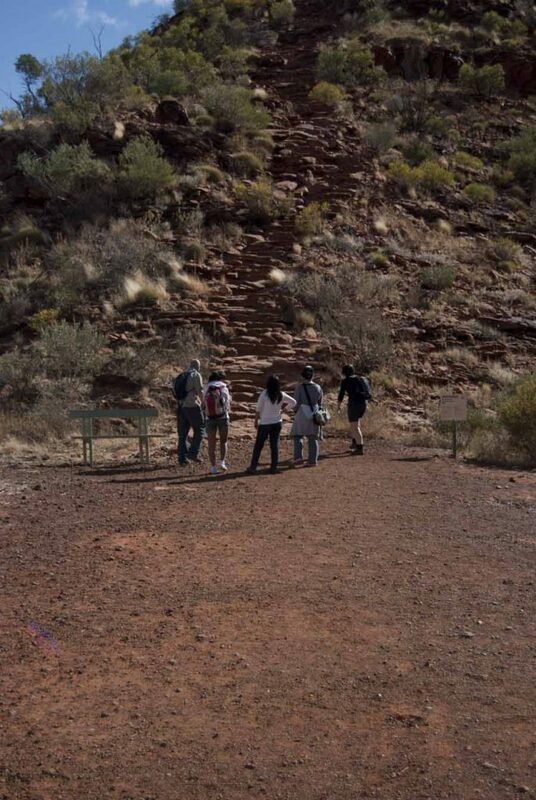 While I don’t rate this walk as highly as the Uluru base walk, I would still recommend that you make time to do this walk.